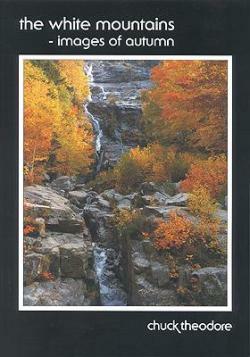 The White Mountains - Images of Autumn, by Chuck Theodore, 1997. Brilliant foliage is the theme of this 39-photo souvenir booklet, with shots of blazing mountainsides, country lanes, rocky streams and other White Mountain scenes. 32 pp, 7” x 10”.